The 2016 spring time weather is amazing. Yet, according to records, not all that unusual. The weather was mild for Winter; I think that makes the pleasant warm weather seem as if summer is coming too soon. The sort of weather that attracts the clipping tools. 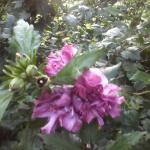 On an earlier nice day, I gave the Rose of Sharon cluster bush a serious ‘haircut’. 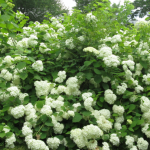 This cluster is a group of four bushes in two colors. Years ago, I started cuttings, then put four of them in one planting, hoping one would live. All four took off. 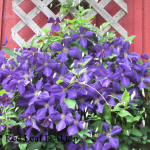 Last year, tender branches bent themselves clear to the ground with loads of flowers — double fuchia and the common singles of lavender with red centers. They were cruisin’ toward some breaking while the cluster wasn’t as attractive as it should be. 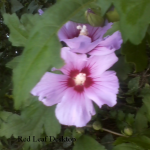 They aren’t pretty in spring time because the Rose of Sharon leafs out a little late. Right now they resemble a bunch of sticks in the ground. 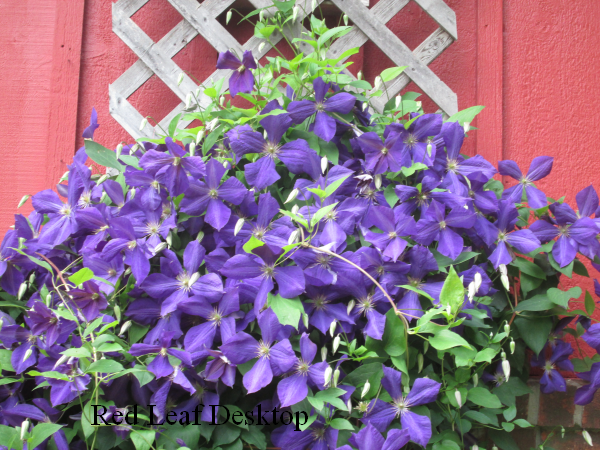 I’m glad that I WHACKED the purple clematis and autumn clematis a few weeks ago. This warm weather will be bringing tender new leaves and vines. I know that once they start on old growth I won’t want to cut them off — I will endure a great tangle of old stuff and new stuff. 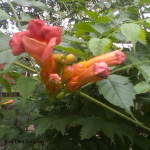 Along with the clematis, I trimmed the trumpet vine that provides shade for the chickens. There were some old vines creating an overhang, but the trumpet is still, at 4 yrs, a young vine. I hope for lush new growth on the cropped stalks that will create even more dense overhangs. Right now, because Trumpet won’t leaf until late May, it looks like a scrawny brown vine stuck in the chicken fence. I suppose spiders will be dropping out of the overhands, but the chickens can handle that. I know it is a weed, but we do keep a couple brush honeysuckle bushes. They are disrespectful and have to be cut back, sometimes more than once in a season. 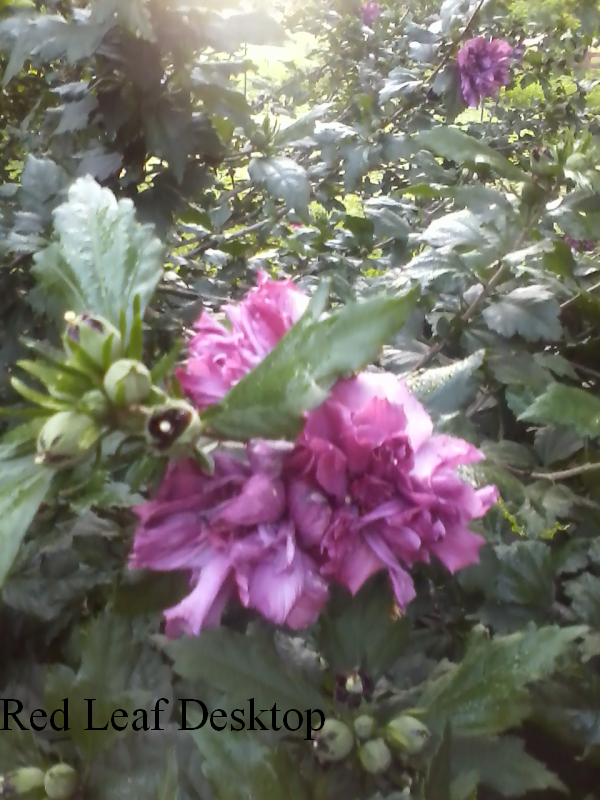 The one I’ve gotten to so far was cut clear to the ground two years ago. Now the branches are reaching out again to push me off grass into garden mud. Some of them were thicker than my thumb, requiring some serious pressure on the telescoping lopper! 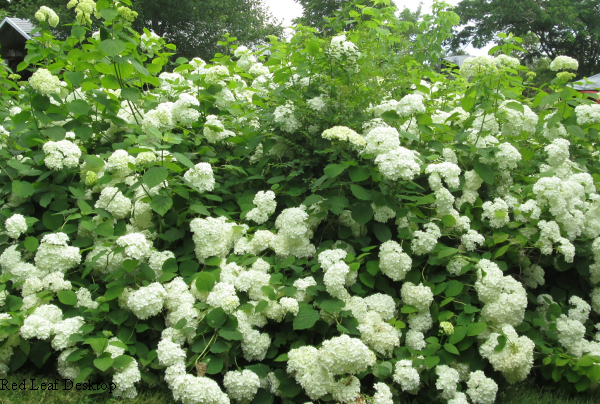 Finally, the HUGE snowball bush was clipped back to about 1ft. I hadn’t done that for a few years. The task was a real ‘back-acher’, but the new growth will have better access to light. I found that the snowball canes did the same thing the forsythia branches do when things get dense…they grow horizontally for awhile then UP to get the best light. Everything becomes a tangle. While i was giving the snowball bush a buzz cut, Richard was trimming fruit trees. He cut off most of the water sprout branches that shot up after last year’s pruning. Our brush pile is growing higher and wider. 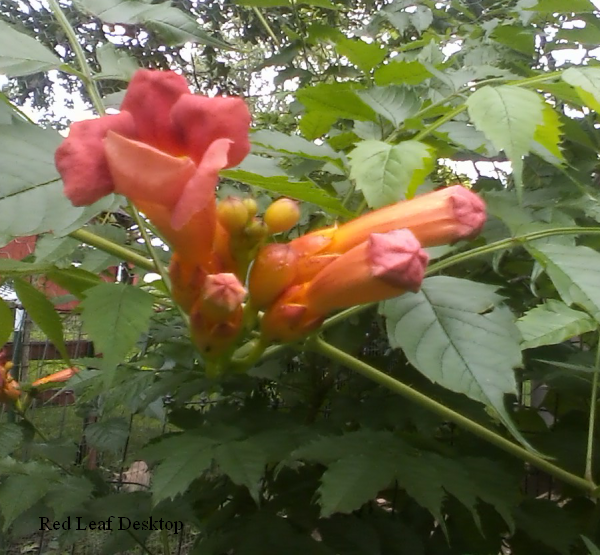 Previous Post: « Chicken Salad and Bees’ Knees or Weeds?